I had a delightful dinner with my father this evening at the Oyster Bar. We sat in the casual area at the bar where we could watch the shucking. I immediately felt the sense of a well-preserved spot that had probably been exactly the same for 50 years or more. The service was polite and available, but not overly present, which I liked. The food was suberb. I had the lentil crab soup which was hearty and wholesome. That’s a recipe I’d love to have. Dad and I each polished off a dozen assorted clams and oysters which were all fantastic and exactly the way they should be- cold, fresh, sweet and slippery. MMmmmmMmm. I am glad I got a chance to eat here and will most likely go back the next time I’m having an oyster craving. 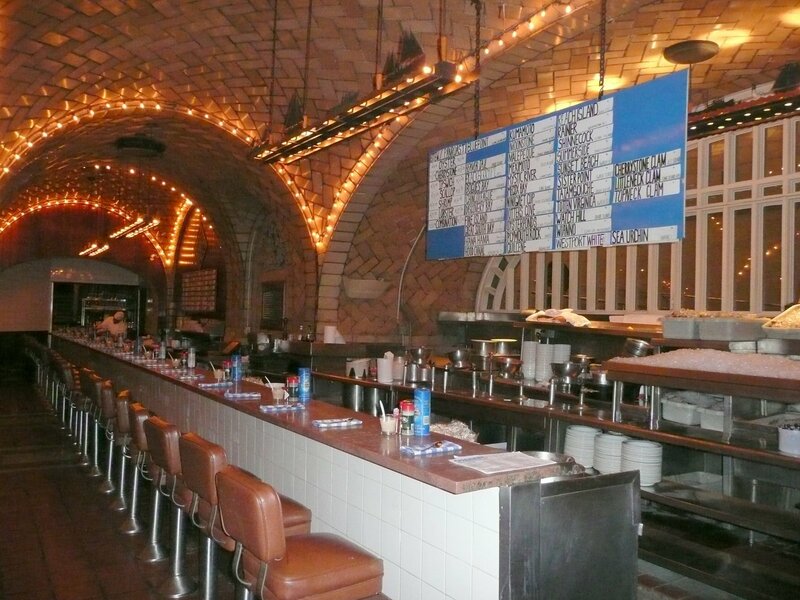 By the way, the whispering wall is right outside of the restaurant so make sure to try it out- it’s pretty cool.